← Mummy, What Shape is Juggling? Reading to our kids and listening to them read is something we take for granted these days. Parental coaching has a profound effect on learning and should be applied to more than just reading. This article provides some ideas on how to help your kids learn music. Some of these suggestions won’t fit your circumstances. Have a look and cherry-pick anything which you think might be useful. 1. Learn along. If you don’t already play the instrument that your child is about to start lessons in, learn along with them. Attend their music lessons, maybe tack an extra ten minutes onto the lesson time so that you can play the pieces for the teacher and get corrected too. This way, practice is something which the child is invited to do with you every day, and not something which they are sent to do by themselves. The child also sees that you value music and watches you struggle and persist. When playing pieces together, the parent should aim to be a little bit ahead of the child to avoid frustration. This will mean extra practices at first. 2. Get a book. If you want a child to try an instrument which you already play, then get your hands on an absolute beginners book. The book provides a structure which you can follow, race through or ignore, and it doesn’t really matter. The child can see where an exercise ends, can choose to do more than one in a day, or can work on an exercise for a whole week. Without a book, the parent is simply showing the child an indefinite amount of stuff, and each session ends when the child can do no more. Each session ends in a sense of failure. The child feels judged and rebels, and the parent ends up feeling frustrated and ignored. So get a book, have a go, always put your relationship first, and have another go. 3. Teaching & coaching compliment each other. 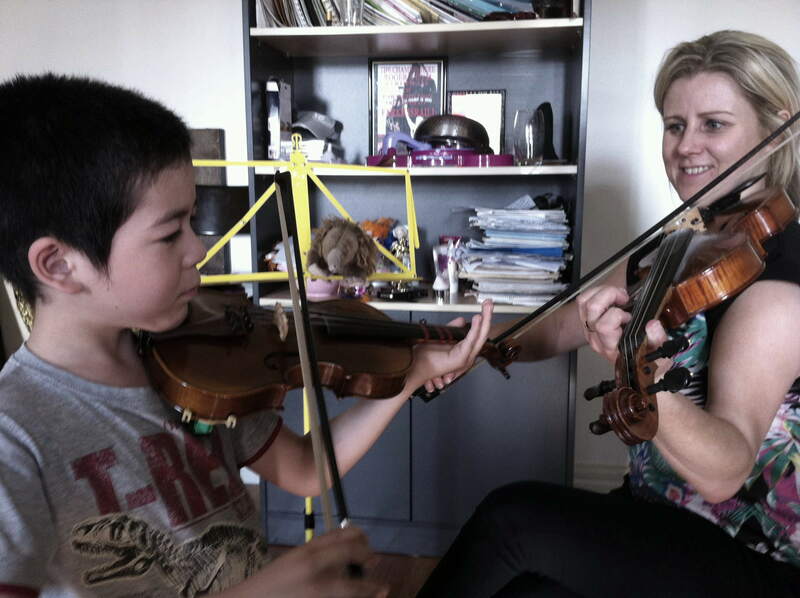 Just as listening to your child read helps their in-class learning, so too does being involved in a child’s musical practice help their musical learning along. Listen to them practice, ask questions, play their pieces, find videos of their pieces online, and even suggest experiments. It’s all good. Experimentation is great, and if you try and stop it you risk squashing the fun. Luckily, you don’t need to be slack in order to create a relaxed atmosphere. Just make sure that there is room for a few required tasks on their musical landscape. 5. Metronome with scales. A scale is a finger/tuning exercise where you play all the notes up and down in order. A metronome is a device which clicks at a known, configurable rate. There are probably dozens of free apps which do this for you, but I’m fond of our acoustic one (despite the lack of special features). The student should learn the scale(s) first and introduce the metronome when the scale starts getting easy/boring. The object of putting them together is to allow the child to get comfortable with the metronome long before they actually need to use it. 6. Seek ensemble opportunities to develop musical maturity. This is especially valuable for fast learners who need extra motivation to play a piece “as written”. There are some excellent Suzuki method early duets for piano (one piano, four hands) and violin. These are great for siblings, as they only require one player to be at note reading stage (a couple of year’s experience) while the other can be a Suzuki beginner. Each participant must be able to play with the metronome before attempting ensemble work. It also helps to use “counting in” (see below). If you don’t have a handy sibling, try asking friends. Like with the metronome, playing music with another person is a specific skill, different from the challenge of playing the music separately. So it’s good if the participants find their individual parts easy, before getting together. Like with any learning, there will be frustration early on and persistence will be required. If your child is learning piano, note that there is a difference between playing an accompaniment and a duet. A duet is generally written for each part to be musical and playable – an interplay of equals. Accompaniment is written for the benefit of the other instrument, and will usually be more difficult and less enjoyable for the young pianist. Being able to accompany another instrument is an incredibly useful skill to have, but start with nice student duets first. 7. Counting In. Count in one bar of beats (1, 2, 3, 4 – for example) when playing music together with a child. It’s a simple but important skill. If you have never done it before, take the time to get it right. You might need to use a metronome as well, to do any kind of playing together, but you will still need to count in. As soon as the child is able to do so, get them to do the counting in, while you follow. 8. Blank manuscript paper. Buy some blank manuscript paper, and let the child know that they may use it, to write down their own music. Most won’t use it, but for a certain personality, discovering that this stationary product exists is a revelation. 9. Performances and exams. Preparing for performances and exams is a challenge and an opportunity. Some kids find the additional workload and the need to perfect their pieces to be motivating. It’s something you can try (talk to your music teacher). Be guided by your own child’s experience, and don’t be ruled by second-hand opinions of what was right/wrong for some other/hypothetical kid. 10. Listen and enjoy. Share a love of music with your kids. Listen in the car, take them to concerts, play music for and with them. 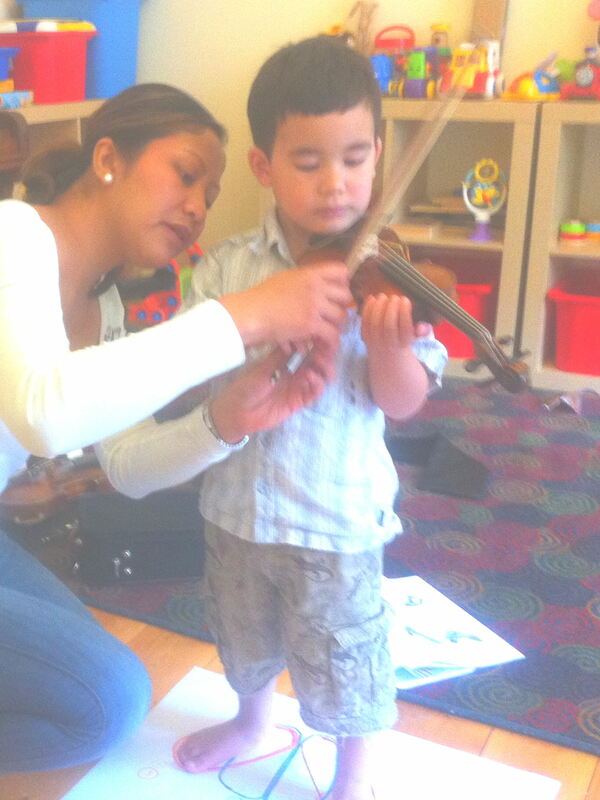 Make music part of their happy and nurturing experiences. Encourage them to experiment a little while building on the pieces they have been taught. This entry was posted in Educational and tagged coaching, gifted, learning, music, Musical Maturity. Bookmark the permalink. Mummy, What Shape is Juggling?